Since man first left grape juice out too long and decided to drink it anyway, the human race has been searching for the ultimate hangover cure. 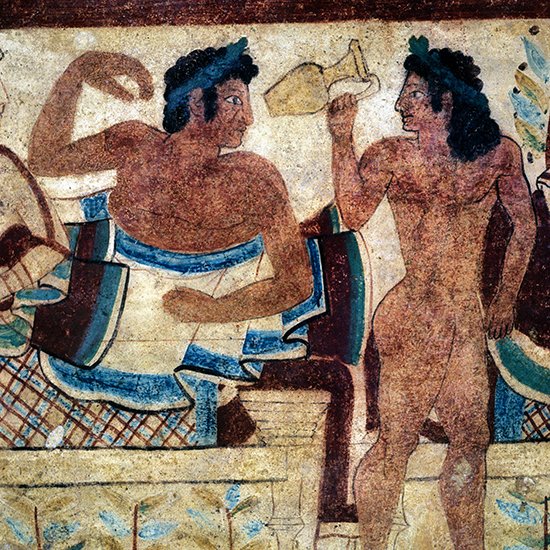 These days we rely on greasy breakfast sandwiches or loaded Bloody Marys, but long before bacon was an option, the ancient Egyptians turned to something a lot less caloric to ease what they referred to as a “drunken headache.” They weren’t as artful with their terminology as we are today. While translating 1,900-year-old Egyptian texts from Greek, researchers recently found what seems to be an ancient hangover cure. The text instructs the hungover subject to wear a necklace made with the leaves from an Alexandrian chamaedaphne, a laurel-esque shrub. It’s certainly a more fashion-forward way to cure a hangover than we’re used to, but for now we’ll stick to fried things, eggs and cheese.